В конце 1920-х годов главный конструктор компании "Junkers" Герман Польман начал разработку двухместного цельнометаллического спортивного самолета, получившего обозначение A 50. Идея создания этой машины принадлежала Иоганну Арнтзену из торгового департамента ДальшеMore>>> "Junkers", полагавшему, что она будет превосходить деревянные самолеты аналогичного назначения. A 50, разрабатывавшийся вначале под обозначением EF31, предназначался, прежде всего, для спортивных полетов, обучения и выполнения высшего пилотажа, но мог также использоваться частными пилотами для воздушного туризма и находиться в воздухе до пяти часов. Прототип A 50 совершил первый полет 13 февраля 1929 года, а затем в Дессау построили еще четыре самолета для испытаний, оснащенных различными двигателями и шасси. Для рекламы нового самолета, начиная с середины 1930 года, компания "Junkers" провела ряд рекордных полетов на высоту и дальность. Оснащенные дополнительными топливными баками A 50 летали из Германии в разные пункты назначения, такие как Тенерифе на Канарах и в Японию. Стартовав 18 августа 1931 года, Марга фон Этцдорф начала одиночный перелет на A 50 из Берлина в Токио, став первой женщиной, совершившей это. В 1932 году другой самолет совершил перелет из Хельсинки в южноафриканский Кейптаун, а затем вернулся в Дессау в Германии. Компания "Junkers" рассчитывала на большие объемы продаж, но цена самолета оказалась слишком высокой. В результате построили только 69 машин, оснащенных разными двигателями, включая Armstrong Siddeley Genet, Genet II, Genet Major I, Walter и Siemens-Halske Sh 13. Около 50 самолетов A 50 были куплены частными владельцами из Австралии, Бразилии, Германии, Португалии, Финляндии, Швейцарии, Южной Африки и Японии. In view of the popularity attained in this country by the two-seater light 'plane and the modern tendency towards all-metal construction, it is interesting to see how a foreign aircraft constructor attacks the problem, especially when that constructor is one who has become world-famous as a constructor of larger aircraft. 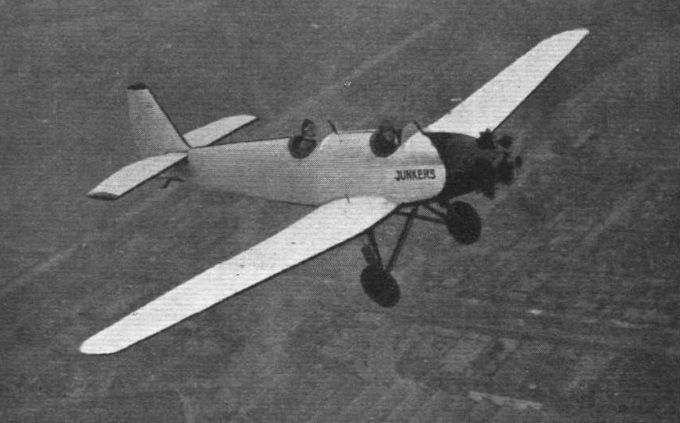 The Junkers "Junior," or A.50, to give it its official series number, follows closely previous Junkers practice in its design and construction. In spite of this, however, the tare weight of the machine is very low compared with British machines of similar class. 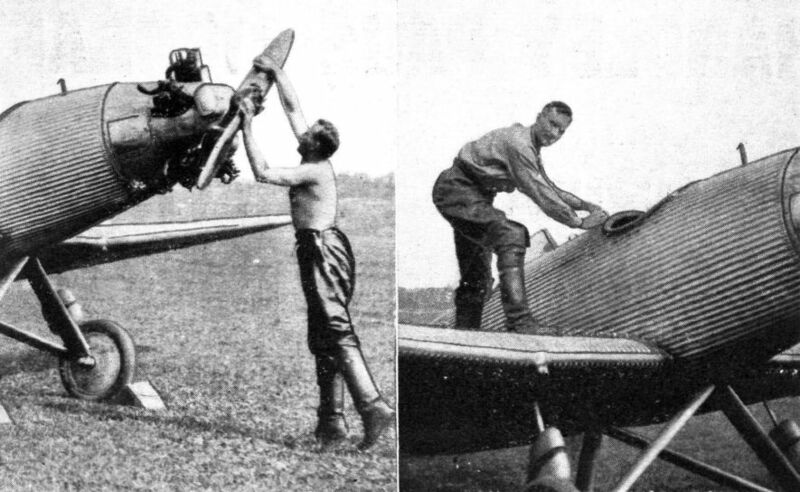 In spite of the fact that it is a cantilever monoplane, the tare weight of the Junkers "Junior" is but 295 kg. (650 lbs. ), a figure low enough to be rather startling, even making allowance for the low weight of the Armstrong Siddeley Genet engine with which the machine is fitted. The fuselage has an internal structure of duralumin tubing, and the bracing is entirely carried out by the covering, which is duralumin sheet with longitudinal corrugations. The wing is of typical Junkers construction, although the number of tubular spars has, in view, presumably, of the relatively small wing chord, been reduced to 4. The wing covering is also corrugated duralumin, and the corrugation run from leading to trailing edge. Exactly where all the structure weight is saved is difficult to see. One assumes, of course, that the machine is designed to the usual DVL load factors. As in other Junkers machines, the centre section of the wing is built integral with the fuselage, and the wing end pieces are attached to the end of it by four "pipe unions" in the usual Junkers fashion. The ailerons extend from near the wing tips to the joint with the centre section. The main petrol tanks, of a capacity of 80 litres (approximately 17 1/2 gallons) are built into the centre section of the wing, and a gravity tank holding 12-5 litres (2 3/4 gallons) is housed under the deck fairing. If the machine is intended for school work, dual controls can be quickly installed and one set again removed when the second occupant is merely a passenger. The undercarriage is of the divided type, with wide track. If desired float or ski undercarriages can be supplied. The overall dimensions etc. of the Junkers "Junior" are: Length o.a., 6-97 m. (22-9 ft.); wing span, 10 m. (32-8 ft.); wing area, 12-6 sq. m. (136 sq. ft.). With a tare weight of 295 kg. (650 lbs. ), the gross weight of the Junkers "Junior" may either be 500 kg. (1,100 lbs.) or 550 kg. (1,210 lbs.) according to whether the machine is being used for school work or for touring. In the latter case more fuel is carried. The normal gross weight of 500 kg. (1,100 lbs.) may be made up as follows: Tare weight, 295 kg. (650 lbs.) pilot and passenger, 150 kg. (330 lbs. ); petrol, 45 kg. (100 lbs. ); oil, 10 kg. (22 lbs. ); total loaded weight, 500 kg. (1,100 lbs). When used as a touring machine, the petrol load is increased to 65 kg. (143 lbs.) and the oil decreased to 8 kg. (18 lbs. ), leaving a luggage, etc., weight of 32 kg. (70 lbs.) to make up the gross weight of 550 kg. (1,210 lbs). The estimated performance figures for the Junkers "Junior" are top speed near ground, 165 km./h. (102-5 m.p.h. ); cruising speed, 135 km./h. (84 m.p.h. ); landing speed approximately 75 km./h. (47 m.p.h.). The range is approximately 675 km. (420 miles) and the duration about 5 hours. Service ceiling, 4,500 m. (14,750 ft.). The following are the estimated climb times: To 1,000 m. (3,300 ft.) in 5-5 mins. To 6,600 ft. in 12 mins. ; to 10,000 ft. in 21 mins. ; to 4,500 m. (14,750 ft.) in 52 mins. 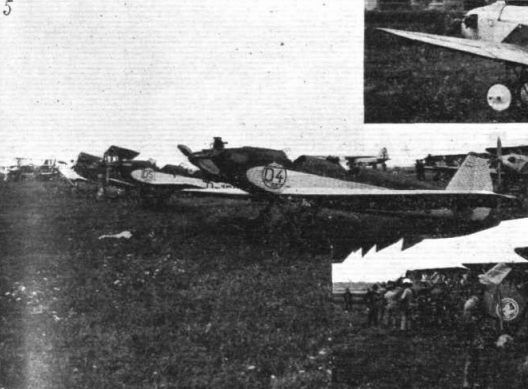 AMONG the foreign light 'planes exhibited at the Olympia Aero Show last July was the experimental model of the new Junkers "Junior." Since that time exhaustive flying tests have been carried out, and certain minor modifications have been made and incorporated in the production type, which will be put on the market very shortly. The changes are not great, but it is of interest to note that the tare weight figure has been increased from that of 295 kg. (650 lbs.) quoted for the machine at Olympia, to 340 kg. (750 lbs.). 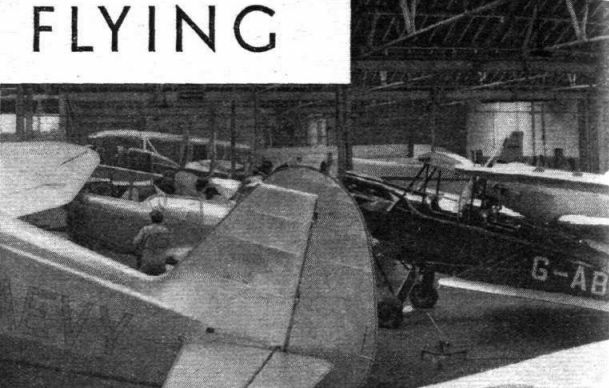 In our Olympia Show issue of July 18 we said: "In spite of the fact that it is a cantilever monoplane, the tare weight of the Junkers “Junior” is but 295 kg. (650 lbs), a figure low enough to be rather startling, even making allowance for the low weight of the Armstrong Siddeley “Genet” engine with which the machine is fitted. ... Exactly where all the structure weight is saved is difficult to see. One assumes, of course, that the machine is designed to the usual D.V.L. load factors." The fact that the tare weight has gone up to 750 lbs. in the production machine appears to indicate that a strengthening-up process has been gone through, and also possibly some extra weight may have been added in the way of extra comfort for the occupants. It is usual for the production type to be heavier than the experimental model, and no undue significance need be attached to the fact in this case. The tare weight is still very low compared with British light aeroplanes, and as German aircraft generally is not usually known for lightness, it would be interesting to know how such a low structure weight has been attained. The vexed question, monoplane or biplane, has not by any means been settled yet, nor has the question of whether the high-wing or the low-wing type is likely best to meet the private owner's requirements. It is of interest to recall, however, that in his lecture to the Royal Aeronautical Society, Sqdn.-Ldr. 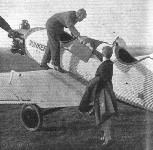 Probyn expressed himself in favour of the low-wing monoplane, voicing rather a preference for one with a cabin. To this extent the Junkers "Junior" does not meet the requirements of this well-known touring private owner-pilot, as it is of the usual open type. With effective windscreens, however, many might prefer the unobstructed view which the Junkers arrangement does undoubtedly give. With the arrangement of the Junkers "Junior" there is little fault to find. 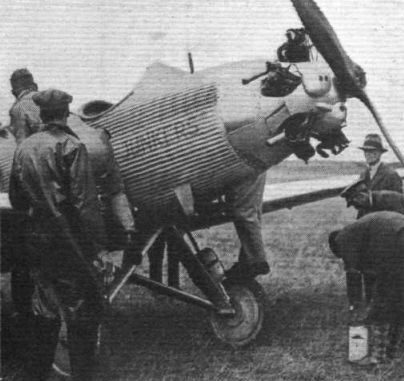 The front cockpit is placed well forward, so that the occupant can look straight down (as, indeed, he is seen doing in the aerial view). The rear cockpit is well aft, and also affords a vertical view of the ground. Between the two cockpits is a luggage locker. As the machine is of all-metal construction (with the usual Junkers corrugated Duralumin covering of wings and fuselage) the "Junior" does not, it is claimed, need a hangar but can quite well spend most of its time on the ground pegged-out in the open. Canvas covers for the two cockpits and for the engine are provided, as are also the necessary pegs, etc. One of the photographs shows the machine so pegged out, and with the cockpit and engine covers in place. In this connection it should be recollected that the machine is not provided with folding wings, and that therefore it occupies a fairly large space, so that the machine may well require to be left in the open where a machine with folding wings would be housed. Having gone into production, it appears likely that the Junkers "Junior" will be taking part in considerable numbers in the round-Europe contest which Germany is organising this coming summer as a result of a German pilot having won first place in the contest last year. There will then be an opportunity to see how it compares with British light 'planes of somewhat the same power, and of which it is hoped that a fairly large number will take part. IN as much as it is the only entirely metal machine at present on sale, the Junkers junior stands in a unique position in the light aircraft world. By entirely metal we mean that both the fuselage and lifting surfaces are constructed of, and covered with, metal. This form of construction eliminates a very large proportion of the difficulties and disadvantages which go hand in hand with most other forms of construction. Further, it is a full cantilever monoplane so that besides the advantages of metal construction, it can claim the added advantages of having no bracing wires or struts which may require adjusting or truing up in any way. When suitably protected with varnish or other anti-corrosive substance, it is certainly one of the most weatherproof forms of aircraft construction, and should give the private owner no trouble on this score. The low wing design has very distinct advantages from the point of view of the pilot, as his outlook is unrestricted in all directions. The metal used is mainly duralumin, so that though the wing coverings are thin and light they are perfectly strong, and will stand all the usual reasonable amount of knocking about that such parts are subject to. The wing construction is on the four-spar principle with easily detachable screw couplings connecting the wings to the fuselage. The fuselage is of the monocoque type, with tubular frames, and a corrugated dural skin covering. 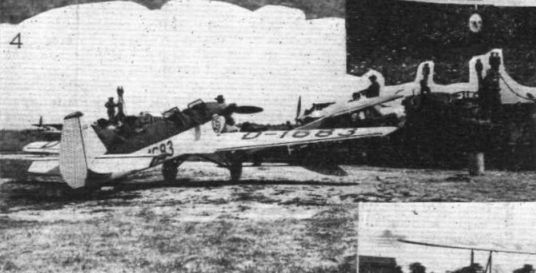 The seats are arranged in tandem with the pilot behind, and there are two luggage lockers, one between the cockpits, and one behind the pilot. The tail plane is adjustable, and all control surfaces are mounted on ball bearings. The elevators and ailerons are controlled by push rods and the rudder by cables. The engine fitted as standard is the Armstrong-Siddeley Genet, while an engine driven pump looks after the fuel supply from the two main fuel tanks, which are in the centre-section of the wing either side of the fuselage with an emergency tank of 2 1/2 gallons in the fuselage, which will feed the engine by gravity, and can be filled from the main tanks by a hand pump. The total fuel capacity is 18 gallons. The sole concessionnaires for the British Isles are Trost, Bros., of 104, Victoria Street, London, S.W.I. Two main models are marketed, the Touring Model, which is delivered at London ready to fly away for L840, and the Club Model, which is the same, with the addition of dual controls and an extra set of instruments in the front cockpit, this latters cost ?885. THE NEW JUNKERS LIGHT 'PLANE: The Junkers "Junior" is of all-metal construction. The engine is an Armstrong Siddeley "Genet." 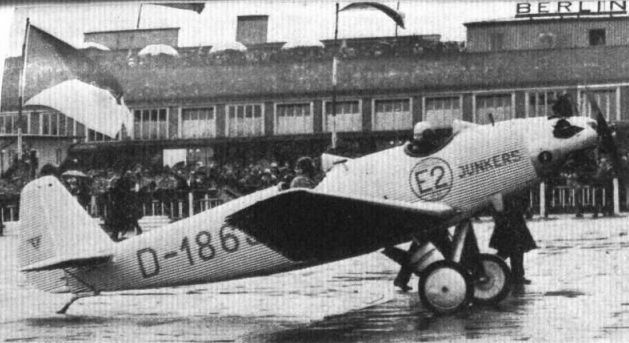 Junkers A 50, a two-seat sporting monoplane built in limited numbers from 1929. A.50 VH-UNO in its original Junkers colours. It survived for only four months in Australia. A.50 VH-UCC, longest-running of the Australian Junkers types. 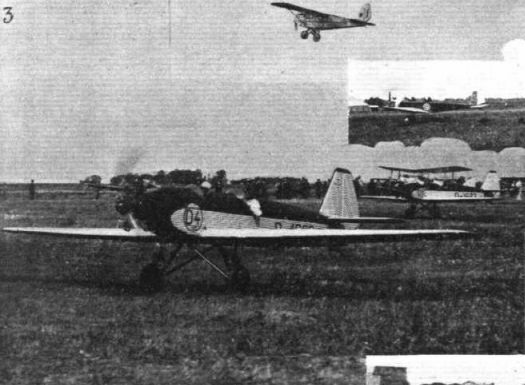 VARIETY AT VINCENNES: The illustration shows the Junkers "Junior" flown by Capt. Placedo Abreu, of Portugal. 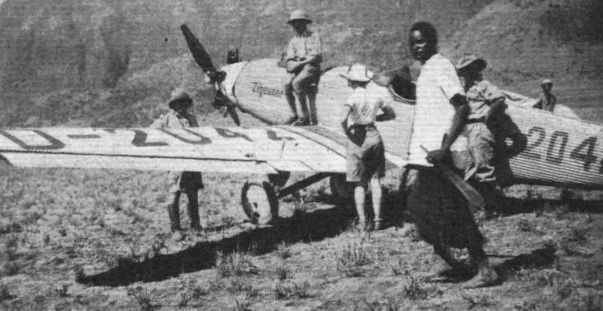 A GERMAN AFRICAN FLIGHT: Edgar Gotthold and his Junkers "Junior" fitted with an Armstrong Siddeley "Genet" engine, in which he recently completed a 15,500 mile flight from Germany to Africa and back. During this flight the "Genet" maintained the reputation of British engines by running faultlessly throughout. 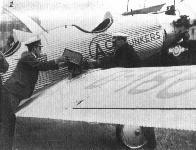 The luggage locker is placed, in the Junkers "Junior", between the two cockpits. 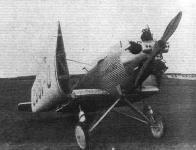 THE JUNKERS "JUNIOR ": In this three-quarter rear view the machine is shown pegged-out, and with covers over cockpits and engine. ALL METAL: Mr. Trost (left) and Major Clarke, who brought over their delightful little Junkers Junior to the Reading Meeting. PETROL TEST AT THE ORLY MEETING: (4) Filling up. PETROL TEST AT THE ORLY MEETING: (5) German and English competitors ready to start - the Junkers A.50 (Genets) and two Gipsy-Moths. 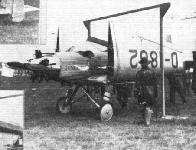 PETROL TEST AT THE ORLY MEETING: (3) Two of the Junkers A.50's fitted with Genet engines, and Capt. Broad's Gipsy-Moth. 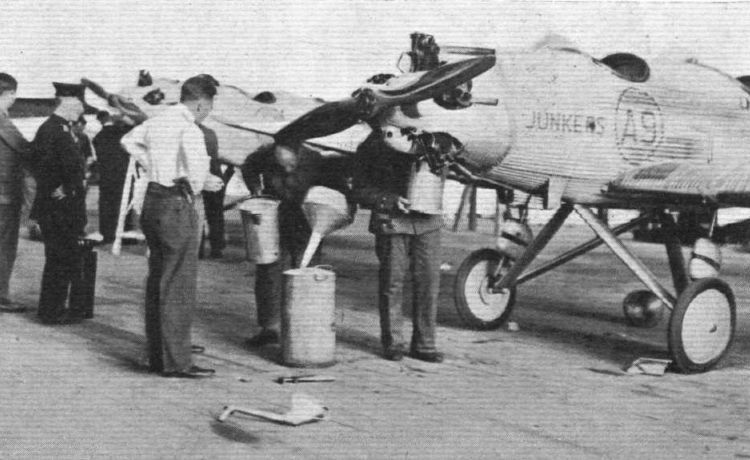 Herr Johann Risztics (Junkers-Genet) watches his fuel being measured out after the consumption test. VARIOUS STYLES OF WING FOLDING: These photographs from the International Touring Competition indicate how aircraft designers of various nationalities provide for reducing space required for garaging machines. 3. another Junkers uses stacking of the wings. VARIOUS STYLES OF WING FOLDING: These photographs from the International Touring Competition indicate how aircraft designers of various nationalities provide for reducing space required for garaging machines. 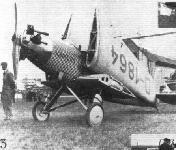 2, a Junkers "Junior" with a front spar universal joint. 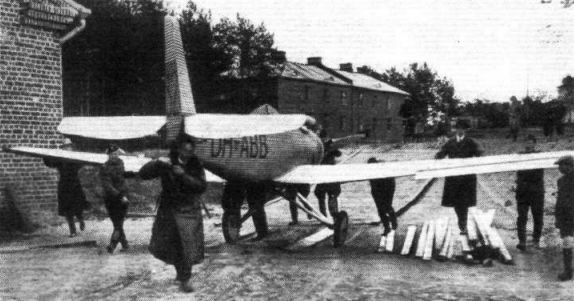 "GENETS" IN LOW-WING MONOPLANES: A Junkers "Junior"
JUNKERS "JUNIOR": This machine, photographed at the moment of starting from Berlin, is fitted with a Siemens engine. Others of the same type have the Armstrong-Siddeley "Genet." SEEN AT HESTON: GERMAN MONOPLANE TAKING PART IN THE COMPETITION: 1, a Junkers "Junior" refuelling. 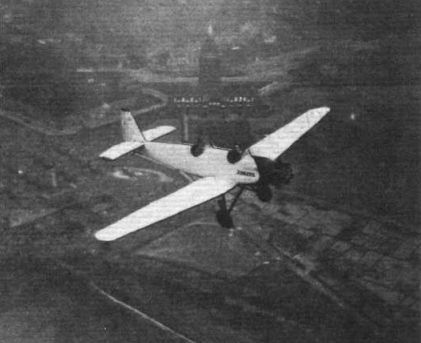 The Junkers "Junior" in flight: This photograph gives a good idea of the excellent view obtained from the two cockpits. The engine is an Armstrong Siddeley "Genet." One of the latest Junkers Junior all-metal machines which has been fitted with an 80/88 H.P. Armstrong Siddeley Genet engine. 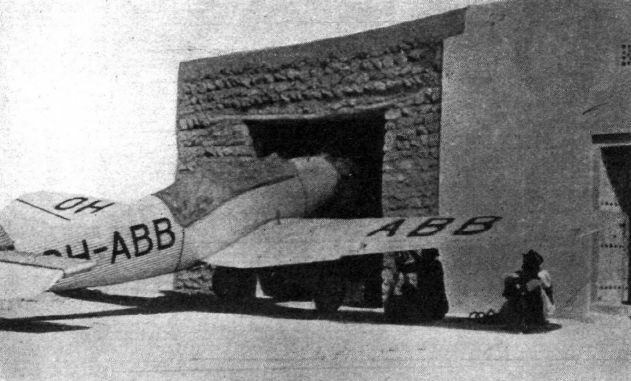 Junkers A-50 Junior OH-ABB in Helsinki Airport's terminal. CURIOSITY? "Junior" appears anxious to see what the interior of a Persian hut at Jask looks like. 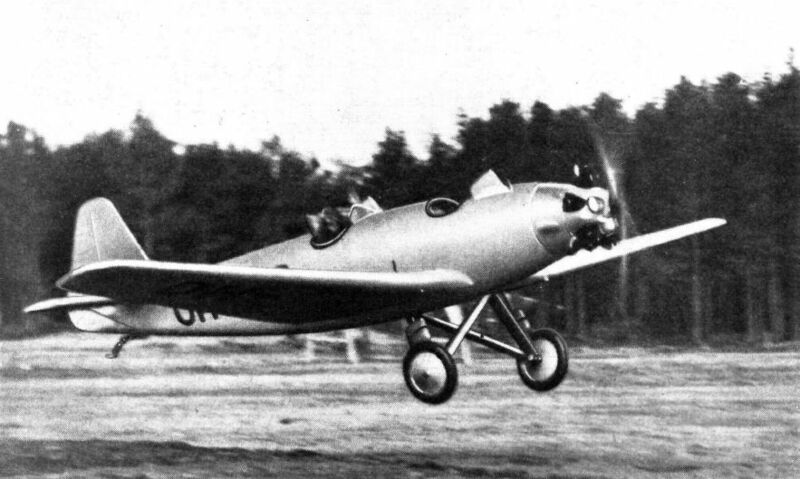 FROM FINLAND TO THE CAPE IN A JUNKERS "JUNIOR": As previously recorded in "Flight," Capt. V. E. Bremer, the Finnish airman, recently flew from Finland to Capetown in a Junkers "Junior" (Armstrong-Siddeley "Genet"). Our picture shows Capt. 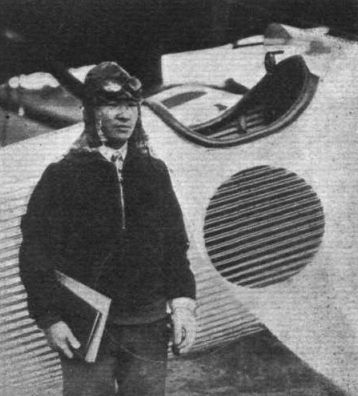 Bremer with his machine about to leave Helsingfors - actually, he flew the "Junior" and did not haul in as shown! During this trip he made two fine non-stop flights, from Naples to Tunis, across the Mediterranean, and from Cairo to Wadi Haifa - a distance of 750 miles in 7 hours. The Japanese pilot, Mr. Yoshihara, with his Armstrong-Siddeley Genet-engined Junkers Junior, in which he recently completed a flight from Berlin to Tokio via Siberia within a week. В 1930 году A 50 установил ряд мировых рекордов высоты, дальности полета и скорости на маршруте. Для этого использовали поплавковый вариант A 50 с двигателем Armstrong Siddeley мощностью 79 л. с. (59 кВт). Another view of a Junkers junior all-metal seaplane. 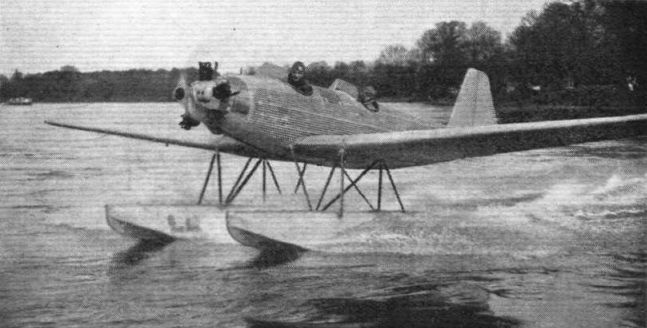 The Junkers Junior as a seaplane. 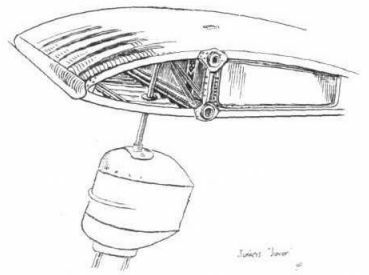 On the Junkers "Junior" the telescopic strut of the undercarriage is attached to the centre section of the wing.